We had already read Little House in the Big Woods last year but ended up reading it again. My son and I took turns reading the chapters every other day and then doing the activities and questions. He needed help with a word here or there but otherwise did fine. Although he is on the younger side for that particular guide, he had no problem with the activities and questions that followed. He loves history and was enthralled with anything to do with "old times." 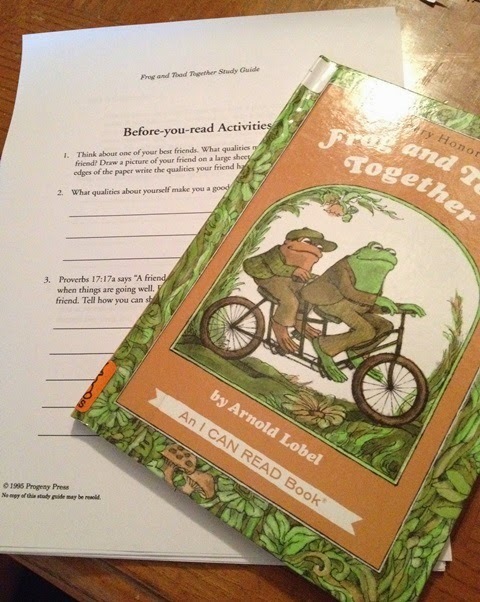 :) Frog and Toad was also a hit. 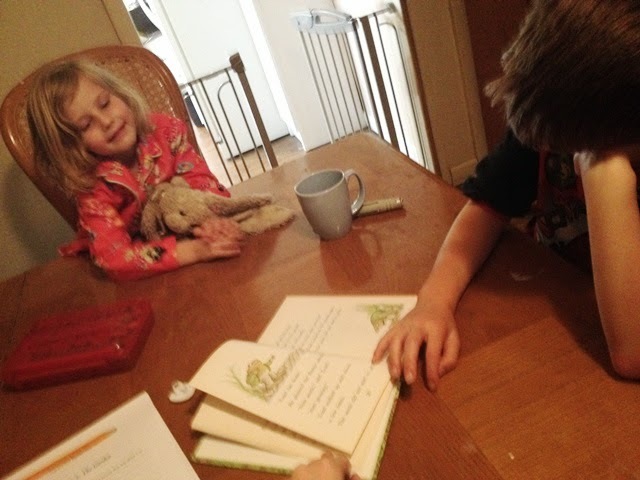 My son read it aloud to my daughter each day and then we did the activities and questions following it together. The kids especially loved the chapter about their garden - Frog yelling at the seeds to grow cracked my daughter up so much. :) The questions over the story were very thorough and made sure that the children understood what they were reading. Each chapter incorporated scripture and a Biblical message which I greatly appreciated. The activities included were fun and simple - making cookies similar to ones we had read about, making our own butter, carving something out of a bar of soap, making a list of things to do, and planting flowers.